Aging gracefully isn’t always easy. The dining experience can help to enhance your physical and mental health as you continue on your life’s journey during your golden years. And, these holistic benefits can begin before you start consuming healthier meals. Here are four ways cooking can spice up your daily routine. Health benefits start before the cooking begins. Shopping for ingredients is a great way to add exercise and socialization to your routine. Research in Taiwan shows that those who cook for themselves at least five times a week had the highest rate of survivorship in people over 65. With that in mind, try to purchase ingredients on a daily basis…and take your partner with you. This will increase your daily exercise as well as ensure that you have the freshest fruits, meats, and vegetables in your diet. Cooking classes can improve your cooking skills and improve your nutritional habits. Cooking classes generally teach the nutritional value of the ingredients in the meals they show you how to prepare. Equally important, socializing in the class environment can boost psychological well-being. And, for people on tight budgets, classes can help you discover economical ways to enjoy new dishes that are fun and easy to make. Preparing your own meals allows you the most control over your diet. If you make a conscious effort to include more vegetables and fiber in your diet, you will reap the benefit of decreased risk of cardiovascular disease. You are the best person to manage your caloric consumption, which can improve your health throughout your golden years. Being the chef who handles the planning and then the preparation in the kitchen can help to preserve your cognitive function. 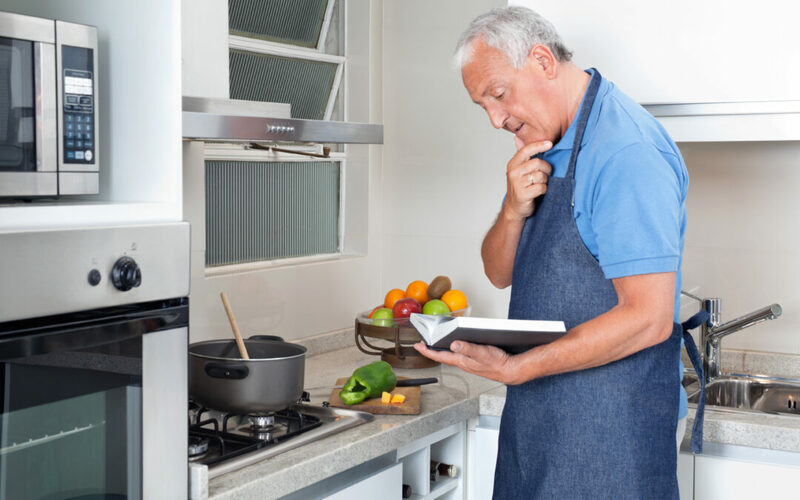 Cognitive abilities generally decrease with age and using the brain is the best way to maintain the ability to plan, multitask in the kitchen and set and achieve goals. Try cooking a new recipe that involves many steps and challenges you to plan ahead. Taking control over your meal preparation can enhance your diet, increase your socialization and ultimately, extend the length and quality of your life. Start cooking today.